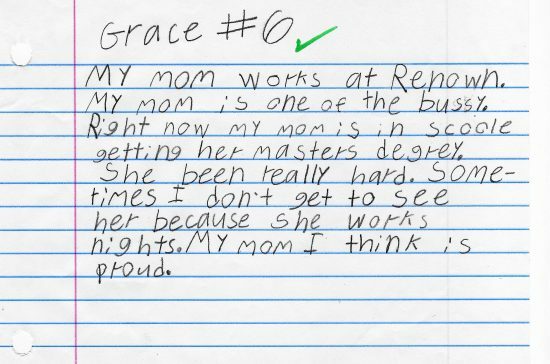 Grace wrote this note about “Mom” for at school for a writing assignment assignment. It was in a stack with all of her other schoolwork and we happened to see it. Needless to say it’s now on the refrigerator. Priceless. How exciting. Mom and Dad both there to send off Grace on her new adventure at Little Flower. 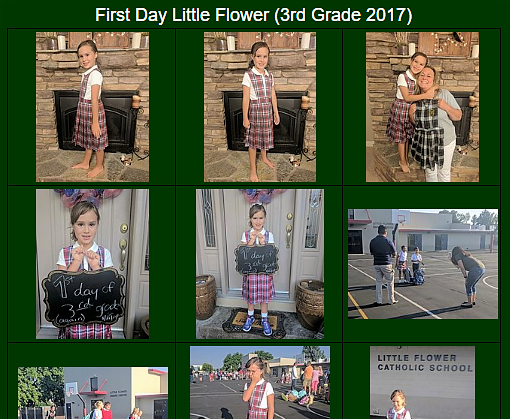 We’re all so excited and have such great feelings that Grace is going to rock 3rd grade. Big thanks to family and friends who have been sending great wishes and encouragement. click on the image below to view the album. No doubt many stories to come in the days, weeks and months ahead. WAY TO GO GRACE, WE’RE ALL SO PROUD OF YOU!! Click the image above to view album. Today: Grace’s last day at Van Gorder Elementary. We’ve made a change that feels like the right thing to do. 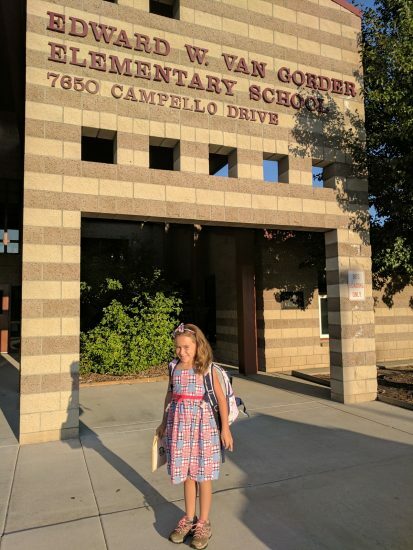 Grace will start Little Flower Elementary this year. Big hugs to everyone at Van Gorder. Teachers, Administration and all the staff. And all the great Red Hawks who have shared great and fun friendships with Grace. We hope those friendships will continue. 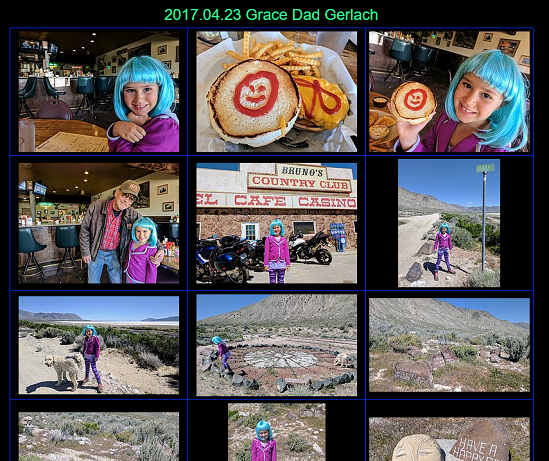 Grace is enrolled in summer classes at University Nevada Reno. She’s taking classes on Egypt but there are also extra-curricular activities.
! !She made the final cut!! ..beating out many who auditioned. A fantastic day of exploring and lots of hiking. Started in Lockwood where did a loop along the river. Grace met a nice girl and her dad …they were out doing the same. 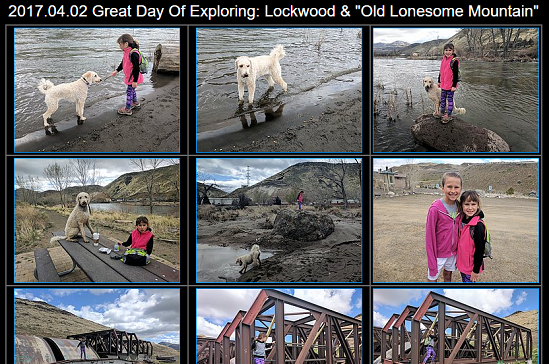 Then over to “Old Lonesome Mountain” where we spent much of the day hiking hills and exploring. Beautiful day! 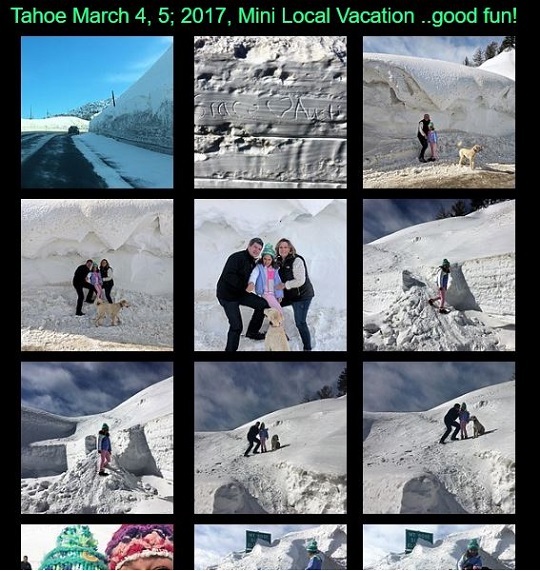 Quite fun -and we sure got a workout! Zoey was along to share the fun and as always was well behaved and great company. 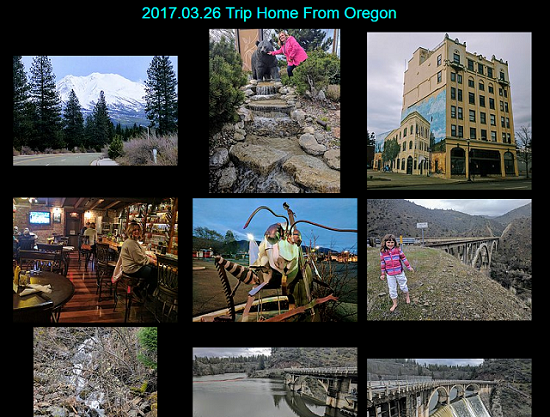 Grace spent the last week in Oregon. Mom and Dad went up to surprise her and bring her home (a few days early, we missed her too much!!). Took a few pictures, mostly on the way home. Took a ride around Lake Britton and then the Pit #1 Powerhouse. Then into Burney Falls via the backside. A great time. Be sure to click on the image below to see album and Video. So proud of Grace. Great job on the race. 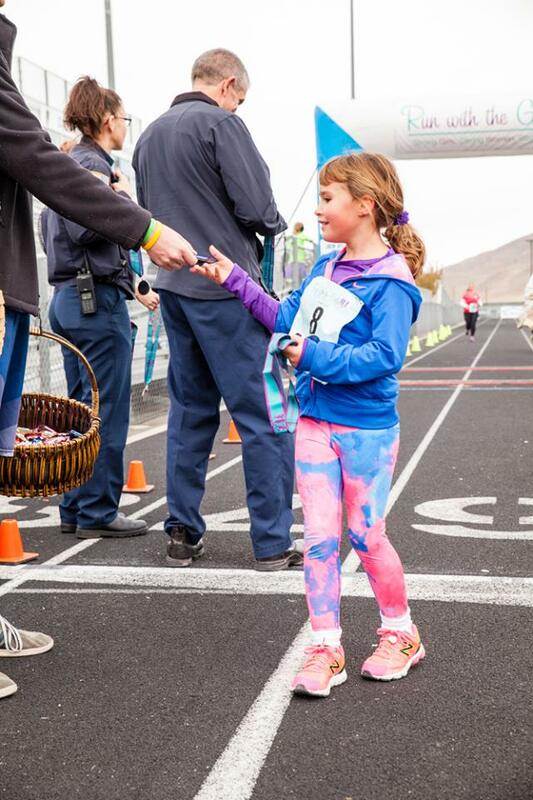 and hers is a picture from the race coordinators that was in their recap newsletter. Here Grace has just crossed the finish line and receiving her medal. 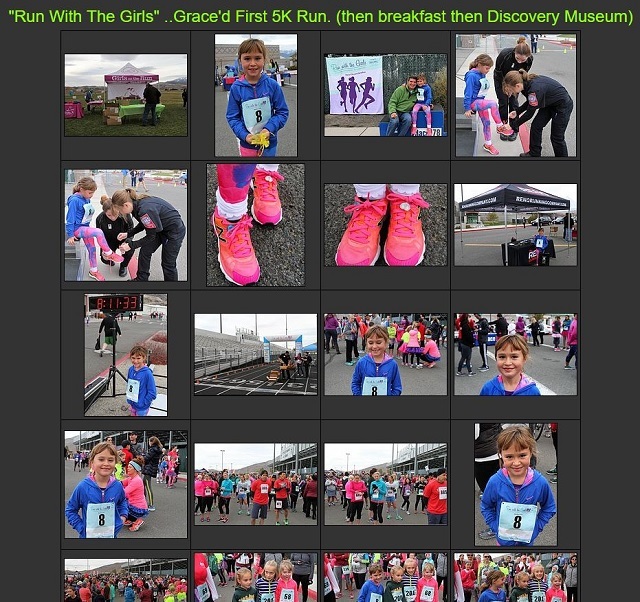 Note grace didn’t stop at the finish line, she ran all the way to the medal!! 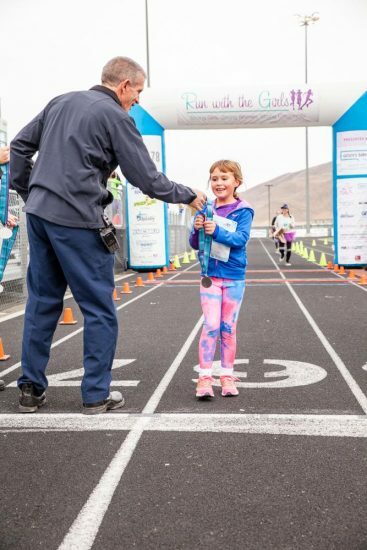 What an amazing experience for a young girl. 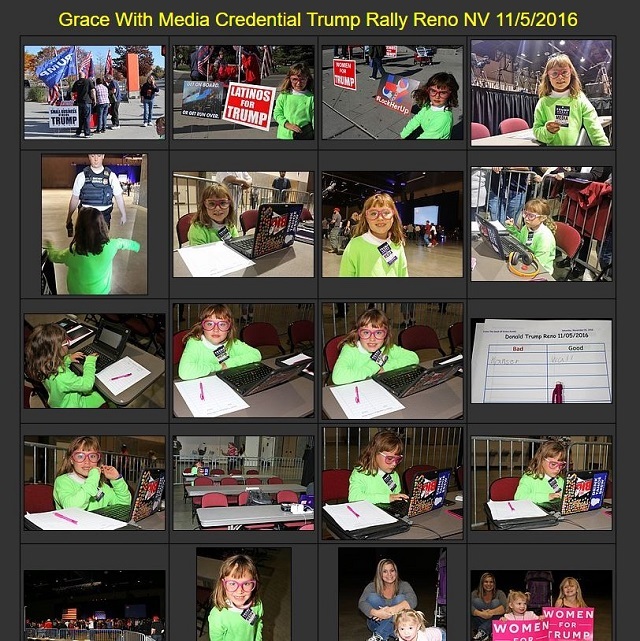 Grace with the Press Pool at Trump Rally. What a great Nevada Day Weekend. Early friday a road trip to Central Nevada. Grace + Zoey + Dad. 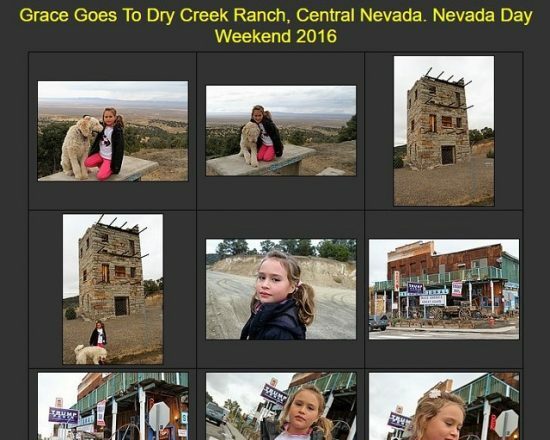 A few stops along the way, including Stokes Castle, Austin NV, the community park. Eventually our destination: Our good friend Tommy and his family’s 100+ year old ranch. Very rural, very genuine and our favorite place. Big rain storms, but we still carved a pumpkin, traded many good stories and shared lots of laughs. No electricity, wood stove for heat and plenty of chores to go around.